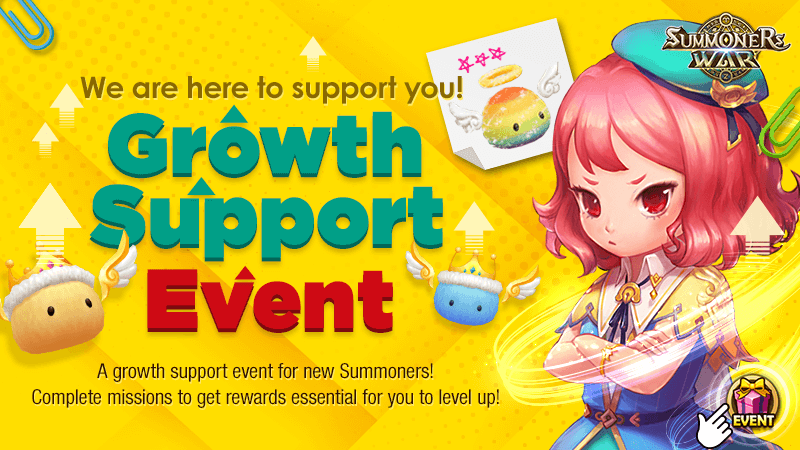 We've prepared a growth support event to help you get stronger. Complete missions to get rewards essential for you to level up! All missions will count when the event starts. ※ The No. of Complete Missions will count when the "Complete Mission" in Challenge > Daily Mission in the game is complete. ※ Evolving Rainbowmons are excluded. ◎ Get bonus rewards based on the no. of completed missions! * The No. of Complete Missions will count when the "Complete Mission" in Challenge > Daily Mission in the game is complete. * Evolving Rainbowmons won't count for the mission. * All missions will count when the event starts.